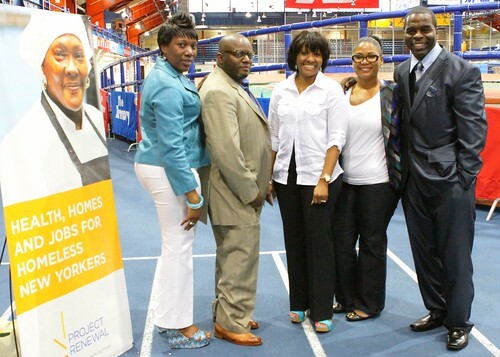 The New York Nonprofit Press April 2014 edition featured Project Renewal as the Agency of the Month! 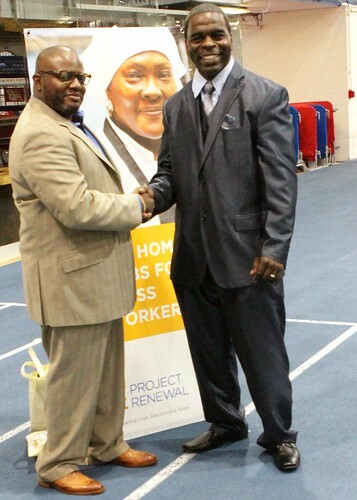 DHS Commissioner Gilbert Taylor commented: “Throughout its rich and venerable history, Project Renewal has demonstrated great innovation and ingenuity in the field of homeless services, and employs programs that enable more clients to transition back to self-sufficiency." 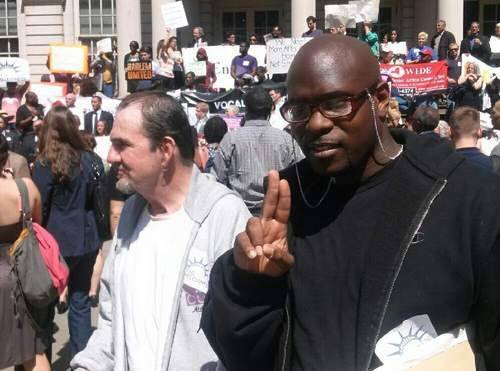 The New York Times featured former Project Renewal employee Gil Fagiani, a social worker who worked for decades as the director of Renewal House. 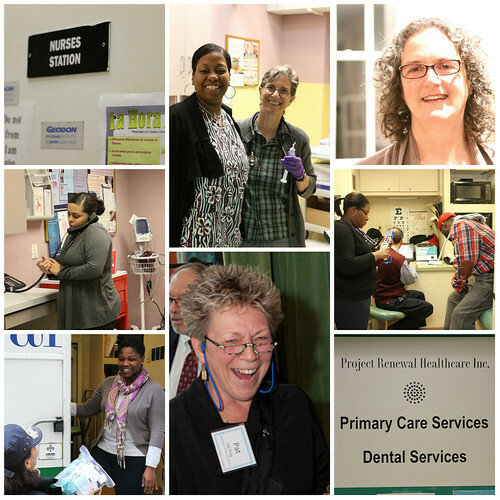 The Primary Care Department received a 2013 Science and Service Award for Office-Based Opiod Treatment in recognition of its innovative use of buprenorphine as an accessible option for homeless patients. This model of care support SAMHSA’s priorities for addiction treatment including: recovery support services, integrated behavioral and primary health care services, hepatitis prevention and treatment services, practices that encourage patient choice in treatment planning, administrative practices that promote retention, access to care, and service/cost effectiveness and efficiency, and the use of electronic health records. Congratulations to the Medical Department and all staff working with clients in this practice – another example of innovation in helping homeless men and women rebuild their lives! I am proud that our Culinary Arts Training Program was selected by the NYC Center for Economic Opportunity as a Top 10 Finalist for the first annual Innovative Nonprofit Awards. 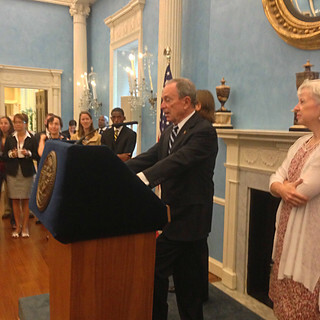 At an awards ceremony with Mayor Bloomberg at Gracie Mansion, Project Renewal and nine other nonprofits were recognized for their impact in breaking the cycle of poverty. 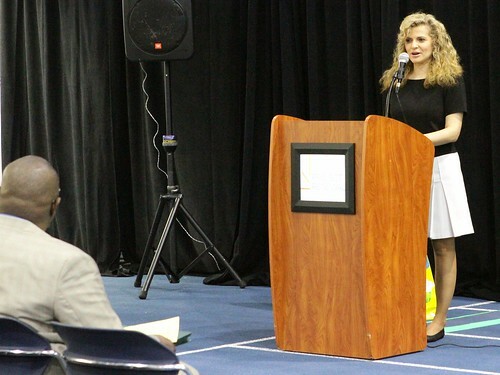 The Mayor cited our innovative approaches and evidence-based practices that help clients train for and secure jobs in the food service industry. 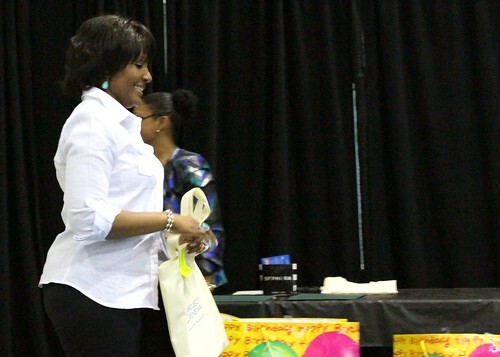 Congratulations to CATP Director and Founder Barbara Hughes, to Executive Chef Anthony O’Connor, and to all the staff and program graduates who have proven the program’s success over 17 years. 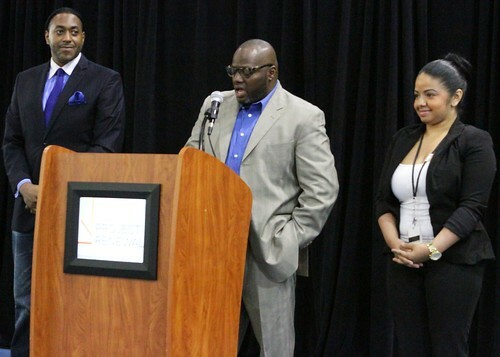 “The finalists stand out for making use of best practices and for representing a new way of doing business that can contribute to reducing poverty in New York City. The Center for Economic Opportunity spotlighted CATP for innovation and impact training homeless men and women for jobs in food service. Please support this outstanding program by joining me at our annual Gala or making a gift today. 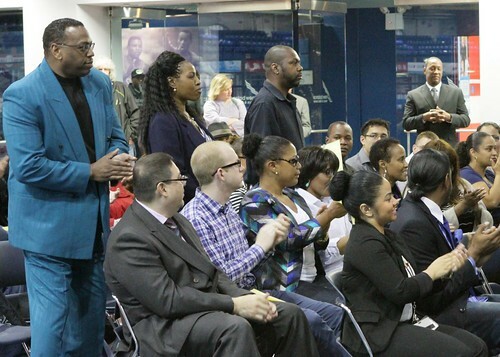 Your support will put more CATP graduates on the path to jobs and financial security. 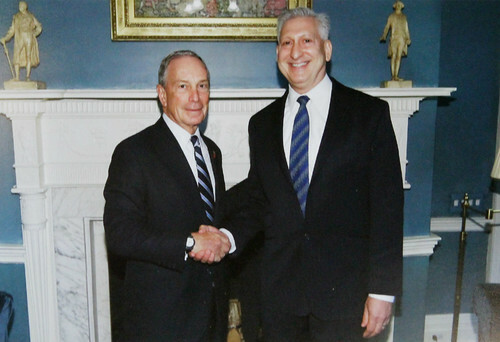 Mayor Bloomberg established the Center for Economic Opportunity in December 2006 to – Implement, monitor, & evaluate the City’s ambitious new anti-poverty agenda. Alarmingly, homeless New Yorkers have a 1.5- to 11.5-times greater risk of dying relative to the general population, depending on age, gender, shelter status, and incidence of disease. But the causes are changing. 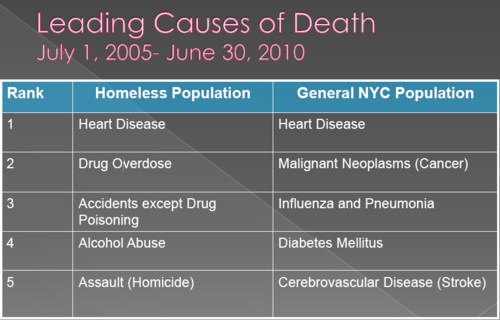 According to this 2012 study by the NYC Department of Homeless Services, the top cause of death for both the NYC homeless population and the general population is heart disease. Regular visits with a primary care provider are essential to identifying heart disease and helping homeless patients to manage this health condition before it escalates to crisis levels. 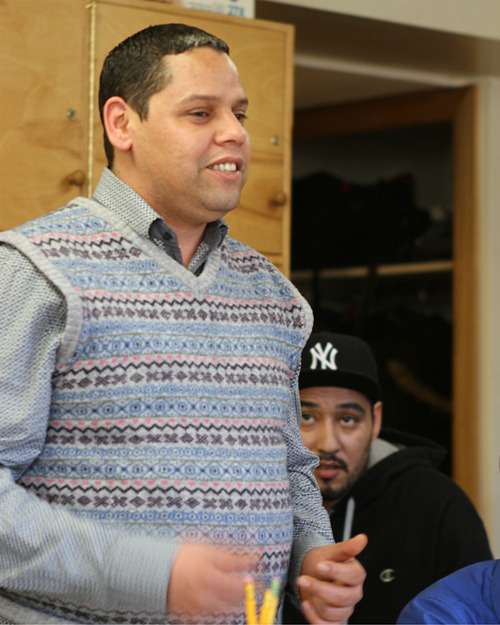 Our comprehensive services to homeless New Yorkers include integrated healthcare—patients are connected to care through our shelter-based clinics, medical vans, and referrals in our transitional and permanent housing residences. Prevention begins on the streets where our medical vans are providing critical interventions to assess patients’ heart disease risk: in the past year, we assessed 61% of clients for cardiovascular disease risk. The vans are also reducing patients’ risk by helping them to manage co-occurring conditions which could lead to heart disease, such as smoking and high blood pressure. In the past year, our vans provided tobacco cessation interventions to 77% of patients and helped 60% of hypertensive patients to control their blood pressure levels. To successfully treat more than 8,600 homeless patients a year, you have to be dedicated and diligent. HRSA-supported health center Project Renewal finds that it also pays to hold yourself to the same quality standards as providers who practice in a less challenging environment. Deploy an interoperable electronic health record? Check. Qualify for the Federal Meaningful Use incentive program? Done. Integrate the principles of the National Quality Strategy? In process. Achieve the goals of Healthy People 2020? All on board. Controlling hypertension is never easy, but when your patients tend to seek care irregularly, move frequently, have a high prevalence of both chronic and acute conditions and distrust the medical system, it seems almost impossible. But that’s exactly what Project Renewal has done. In 2011, 51 percent of hypertensive patients had their blood pressure under control; a 2012 chart review shows the number has climbed to 60 percent, thanks to close monitoring of medication compliance with an assist from local pharmacy students working with the program. 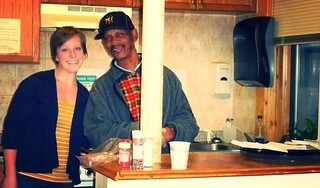 Knowing that the many homeless patients will not come to Project Renewal, Project Renewal goes to the homeless patients. Three mobile clinics (CARE – A – VANS), certified by the National Committee for Quality Assurance as Level 1 Patient Centered Medical Homes, regularly and at all hours go to homeless shelters, emergency housing and even New York City parks where homeless people are known to congregate. They start small, first just walking around and becoming familiar to the homeless people. Over time, their presence in the community earns a level of trust and they begin to offer health services. Because hypertension is so common and such a health threat, Project Renewal focuses on its prevention and treatment by providing health checks that include blood pressure and cholesterol testing at the first opportunity. To help ensure patients follow treatment plans and remain in care, Project Renewal connects patients with other resources, verifies their eligibility for Medicaid and uses the electronic health record to schedule follow up appointments, order medications and exchange patient health information across providers. Patients who later seek care at another Project Renewal mobile or freestanding clinic find providers who have instant access to their full health records and are fully prepared to respond in a patient-focused way that is consistent across providers. A Dutch client shares his story with the group. Even across the ocean, the issues facing homeless men and women with mental illness remain urgent and complicated. A group of clients and staff from the Netherlands visited Clinton Residence and Safe Haven. This unique gathering allowed both groups to exchange knowledge, programmatic information, success stories, hospitality, recovery, treatment and friendship. Housing First emerged because early interventions—focused on services—weren’t seeing results. by the mid-1990s, there were over 40,000 programs addressing homelessness; very few of them focused on housing. Housing First says something that is fairly intuitive—that people do better when they are stabilized in housing as soon as possible. 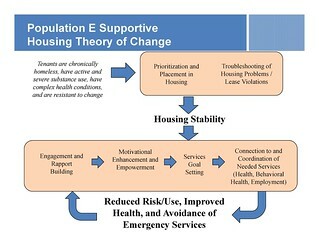 Unstable housing impedes the effectiveness of interventions to address people’s problems. Homeless people themselves recognize this and generally identify housing to be their first priority. It’s a 3-Step Process:1) Crisis resolution and assessment to address immediate problems and then identify housing needs. 2) Housing placement, including strategies to deal with bad tenant and credit histories, identify units, negotiate with landlords, and access rent subsidies. 3) Service connections to provide housed people with services, or connect them to services in the community. It works most effectively for those who are chronically homeless. Chronically homeless people are those who spend years—sometimes decades—homeless. Most also have disabilities like severe mental illness and substance use disorders. Destitute, disabled, and with no place to live, they interact frequently with expensive publicly-funded systems such as jails, emergency rooms, and hospitals. Housing First can save public money as people reduce their use of these acute care systems. Rapid rehousing is another name for a Housing First intervention used for families and individuals who become homeless for economic reasons. It provides rent deposits and/or a limited number of months of rent assistance. Sometimes this serves as a bridge to longer-term rental assistance (such as Section 8 or even permanent supportive housing). Rapid rehousing strategies generally address services needed by linking re-housed households to existing services in the community, although direct services are sometimes provided. At least among the highest need people, the cost of housing can be offset by significant savings to public systems of care. housing of high-need people may more than pay for itself in savings to publicly supported systems like emergency shelter, medical care, and law enforcement, and is a cost effective way to support children and families. The structure of budget-making makes implementing Housing First difficult. Spending money on housing in order to save money on health care, incarceration, and so on, is difficult in a siloed public policy environment with annual appropriations. Savings in one silo (say, health care) do not necessarily accrue to another silo (say, housing). Those responsible for public budgets are not always persuaded by the argument that spending in one fiscal year would result in savings in another if they cannot access those savings to offset the initial spending. To succeed, it needs the attention of those concerned with housing and health, not just homelessness. Housing advocates need to build new partnerships with the medical community and business leaders concerned about health care costs. These institutions are also, often, well-positioned in a community to lead or sponsor collaborative solutions, for instance pooling investments in housing and public health infrastructures. 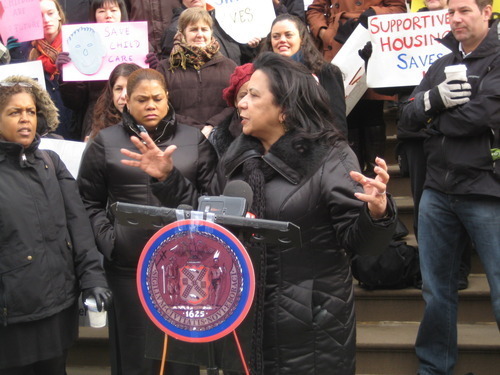 It makes sense for housing advocates to continue to build the case that housing is a cost-effective intervention that can improve outcomes in a host of other areas including health care, corrections, employment, and education. See someone in need of help? In Homes Now is the first supportive housing project specifically designed for homeless people who are active users of drugs and/or alcohol. This year we break ground on 56 new apartments to expand this pioneering client-centered approach. 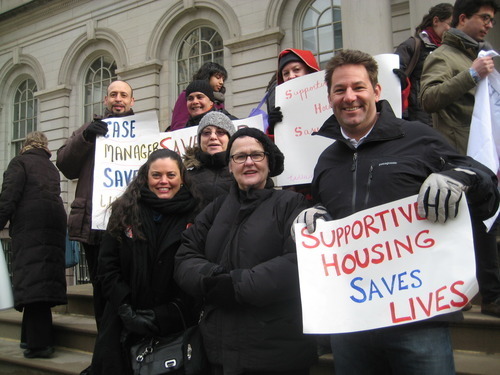 Called “Housing First,” our model program launched in 2003 at a time when there were no such housing options for homeless individuals with active substance use issues, who did not also have a serious mental illness or HIV/AIDS. Our housing first model works - 80% of our residents have successfully remained in housing for 3 years and 95% have a stable income. This spring we will break ground on a new residence with 57 studio apartments on Villa Avenue in the Bronx, expanding the program to reach even more men and women who are shut out of traditional housing options. We will also expand out scattered-site apartment program to include 10 family units for the first time. 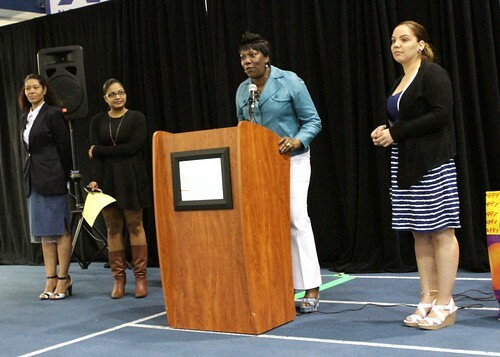 This effort will support families where the head of the household is graduating from recovery (substance abuse). This innovative adaption of the program will include partnerships with scores of agencies in the community that are currently helping children and parents stay healthy and strong. To learn more about Housing First and our success with the model, you can click here to download a report from CASA, the National Center for Addiction and Substance Abuse at Columbia University. 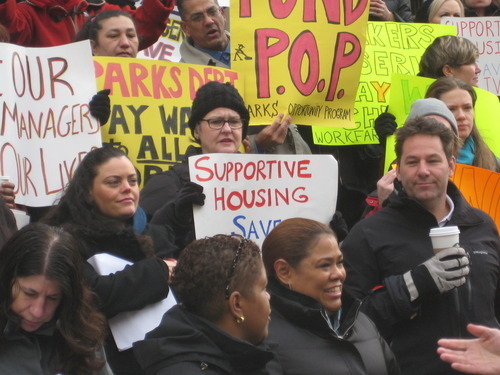 Yet despite growing national attention and its federal endorsement, Housing First models continued to represent a small subset of New York City’s supportive housing. The Housing First models that did exist were limited to individuals with serious mental illness (e.g. 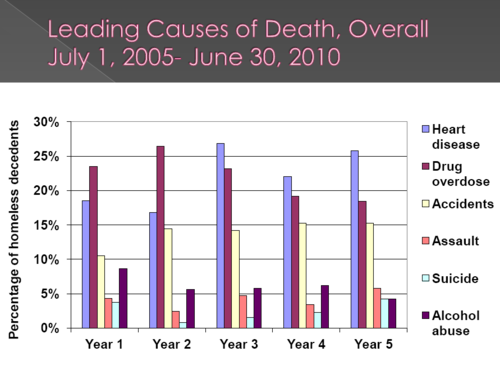 Pathways to Housing) or persons living with HIV/AIDS (e.g. Housing Works or Bailey House), and the Housing First model remained out of reach for the sizeable number of homeless individuals with addiction issues who had neither a serious mental illness nor HIV/AIDS. 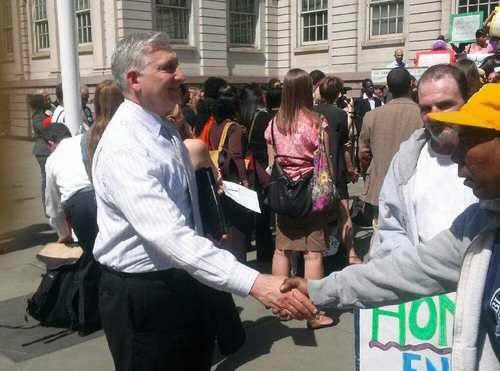 It was not until 2003 that New York City would obtain its first Housing First supportive housing program for homeless individuals with active substance use issues, who did not have a serious mental illness or HIV/AIDS. 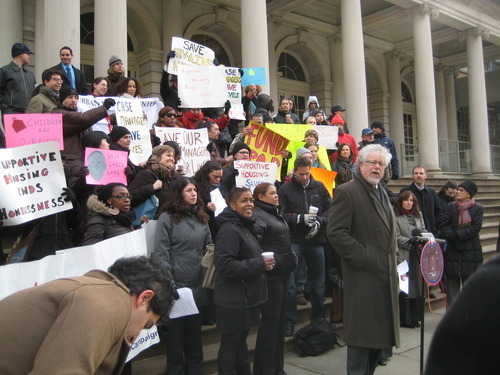 In that year, Project Renewal, a provider of comprehensive services for homeless individuals, received a grant through the federal Collaborative Initiative to End Chronic Homelessness demonstration program, and used it to create 60 units of scattered-site supportive housing for individuals identified as chronically homeless who had active addiction issues. 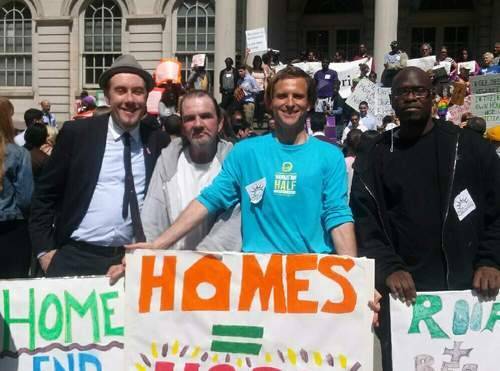 This program, In Homes Now, was New York City’s first Housing First supportive housing project specifically targeted at homeless people who were active users of drugs and/or alcohol. 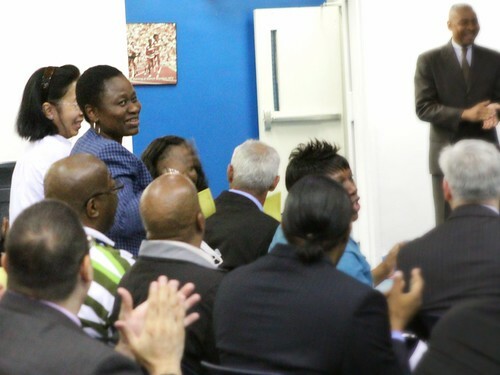 The program was later incorporated into and expanded through the NY/NY III’s supportive housing for Population E.
“I’ve spent my entire career in the public sector, the last 30 years as Director of the Public Psychiatry Fellowship at Columbia. My mentor at the time was Dr. Christian Beels, a trustee at Project Renewal. He encouraged me to join the Board. It’s the only board I’ve served on, and I have valued my board service for several reasons. The Public Psychiatry Fellowship is the largest training fellowship in the country and until about 10 years ago, it was the only one. 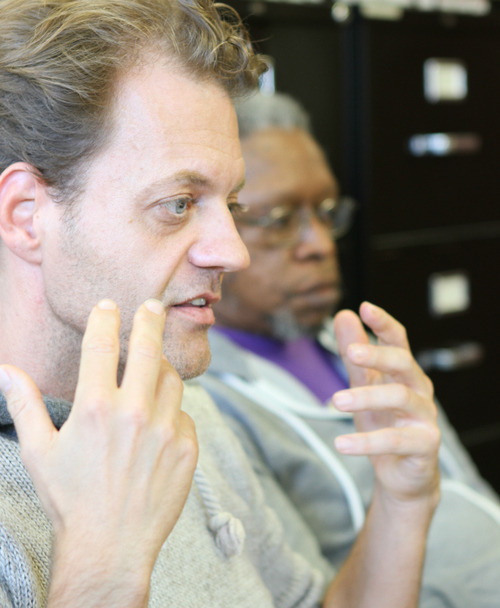 We train 10 Fellows a year to prepare for psychiatric service in the public sector. With more psychiatrists going to work in organizational settings than to a private practice, there is a growing need for this specialized training. The Fellows we accept have already completed 4 years of medical school followed by 4 years of residency. The Fellows spend a year with us in classwork and field work integrating theory and practice. The field work is a 3 day a week placement in a community organization like Project Renewal. The goal is to use the agency as a training site with the hope that the Fellow gets hired at the site at the end. This happens about 60-70% of the time. 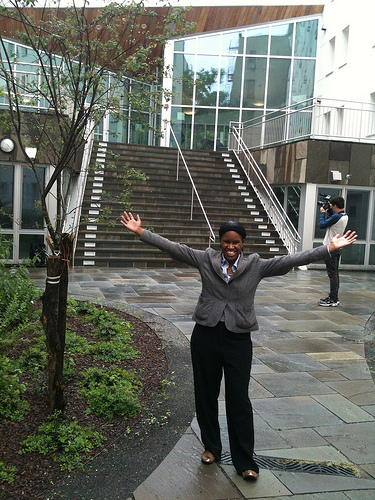 Project Renewal takes a Fellow just about every year and most Fellows who stay in New York City stay on at Project Renewal as a staff member. So most of the psychiatrists at Project Renewal have been trained by us! And, all three Medical Directors for Psychiatry came through the Fellowship (Hunter McQuistion, Elizabeth Oudens, and now Allison Grolnick.) I take a lot of pride in helping Project Renewal create a cadre of effective psychiatrists dedicated to helping homeless men and women. The American Psychiatric Association awarded its 2013 Vestermark Award to Dr. Jules Ranz for outstanding contributions to the education and development of psychiatrists. The award is jointly supported by APA and the National Institute of Mental Health. Dr. Ranz was recognized for his excellence, leadership, and creativity in the field of psychiatric education. 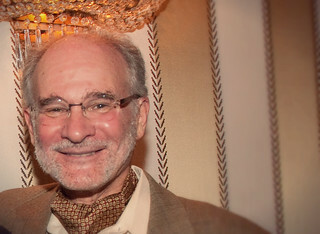 He is the Director of the Public Psychiatry Fellowship at Columbia University Medical Center and has been a Project Renewal Trustee since 1995. Harry Dickerson was one of the homeless men you may have passed on the street. 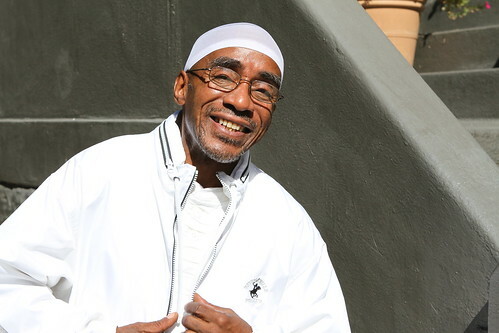 Harry is one of thousands of once-homeless people who found ways to rebuild their lives through Project Renewal’s assistance with permanent housing, employment, overnight shelter, addiction treatment, and much, much more. Next year thousands of homeless men and women will reach the same point that Harry did, mustering the courage to believe they can have more for their lives. With your help we can be there for them like we were for Harry. When Harry was only 11 years old, his mother suddenly died. He and his brothers were alone. They were forced to grow up too fast. They had too few positive influences. And sadly, his brothers couldn’t survive the streets … all three died young. By the time Harry turned to Project Renewal, he had already spent eight-and-a-half years in prison. He was homeless and addicted to drugs. But he did not give up. In fact, Harry made it. Your gift today rubs off on society tomorrow. Please give generously and show New Yorkers like Harry that you believe they can do it. P.S. There’s still time to make a tax-deductible gift for 2012. Thank you for helping a neighbor in need. Our Annual Report has a new look! 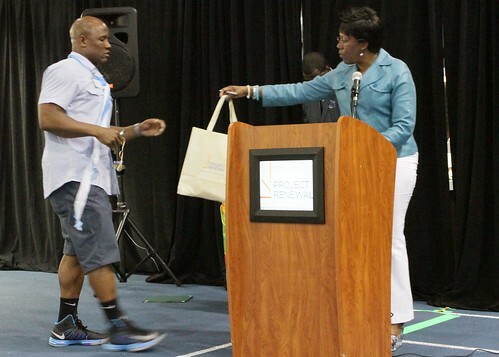 This is a great introduction to all that we do, and recaps all the achievements that your gift made possible last year. 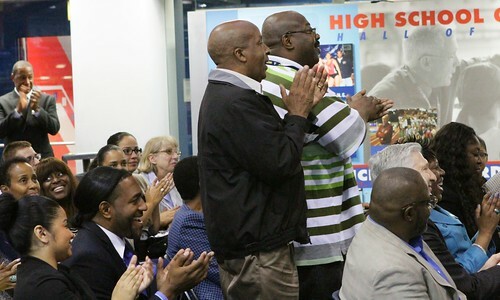 You also get to meet Harry Dickerson, an amazing man who has achieved so much through our programs. Skip ahead to page 10 to learn more about the great plans coming up for 2012, and contact us to learn how you can be involved. 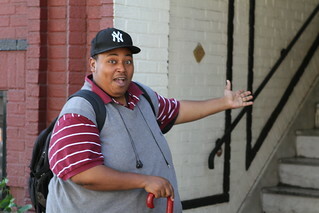 Gift a gift this holiday season and help homeless New Yorkers like Harry get back on their feet. 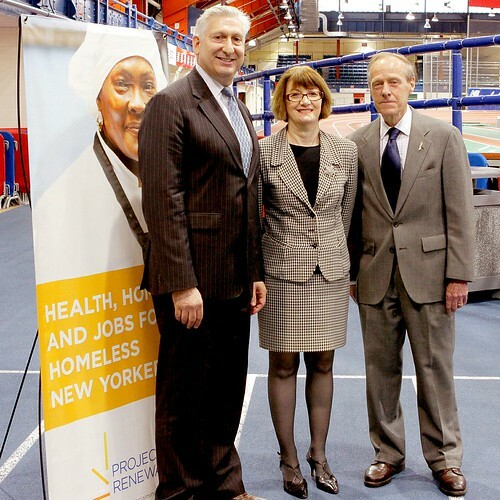 Your support of Project Renewal enabled us to not only continue serving struggling New Yorkers already in our care, but to step up and help our neighbors when they needed it most. On Monday, November 5th the Department of Homeless Services asked us to have 100 beds ready. 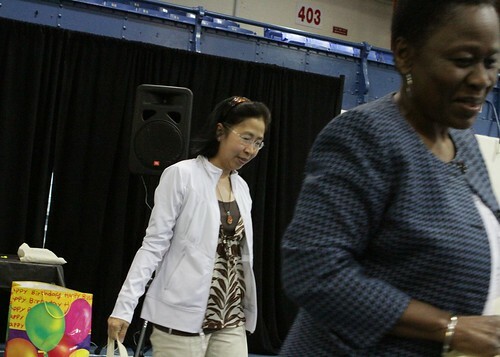 DHS supplied cots, our maintanence team supplied linens and Comfort Foods provided the food. 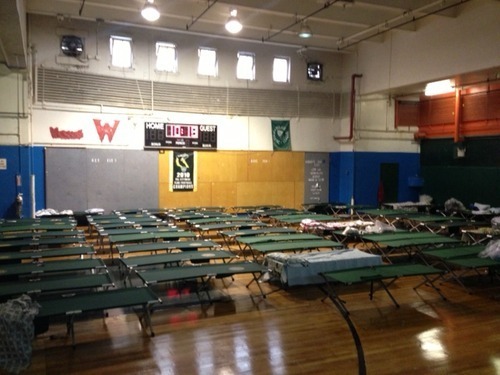 By the afternoon of Tuesday November 6th the shelter was open and ready for evacuees from shelters damaged by superstorm Sandy! It went smoothly and the visiting clients used our cafeteria and common areas and we made caseworkers available to them. By Sunday everyone was able to return. 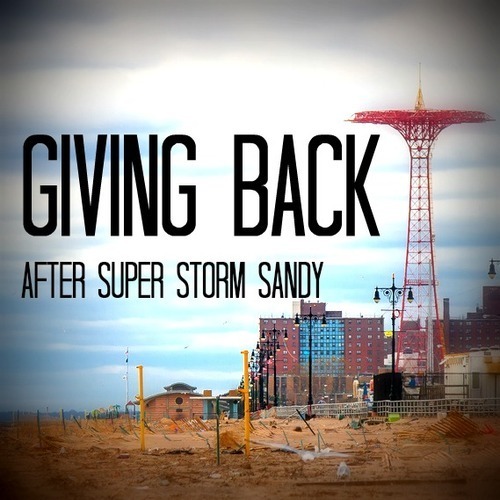 We were on standby for the storm and then after the storm hit we started to get phone calls from the people who were hit—Staten Island, Far Rockaway. We were just waiting for the word on whether they needed help. So they said get the trucks ready and fill them all up with fuel.The city mobilized the EDC teams to respond to the most devastated areas. Project Renewal had about 20-30 guys with 9 trucks plus supervisor vehicles. When we got out there it was really bad—no power, no heat, water everywhere. It looked awful— like a disaster area.The residents had no power to run their pumps. By giving a hand we let people plug into the generators on our trucks out there with power strips plus extension cords running lines into people’s houses. Many people needed to use them to charge their cell phones so they could contact loved ones. We moved rubble, rubbish, and debris and pumped their houses. More people started coming later, but even arriving on Friday we were first responders—the National Guard, National Grid, Red Cross came later and started pitching in. But they still didn’t have power. We gave a hand however we could with whatever we had. People had good spirits, they were happy to see us. But after the third or fourth day people were down with no power. If they had gotten power back sooner they would have been better off. Seeing how bad it was, I didn’t realize it just from TV, it was heartbreaking. I would have run out there by myself if I had known how bad it was—I would have volunteered my time in a heartbeat. These were just regular people who didn’t ask for this. Just devastating, shocking almost. I was speechless. People losing their houses, taking stuff out of their houses. We went out on Friday cleaning up debris that came out of the water, and we were out there two days. It was surpising, a lot worse than anyone expected. Where I live it didn’t hit that bad. But to see how it affected them was shocking. I passed by Breezy Point and it looked just like a garbage dump. We were some of the first people to show up—and that was Friday. When the storm hit we were able to get the generator running immediately, which enabled us to keep the kitchens going. We opened up our doors to the neighborhood and served hundreds of extra meals, in addition to the clients staying at the shelter!